What is a Gap Analysis in Aviation SMS? Both new and experienced aviation safety professionals sometimes have to ask themselves, what is a gap analysis and why am I using it? Where the “gaps” between those states are. The desired state of existence should be to comply with your civil aviation authority's (CAA) regulatory requirements which are mandated by ICAO. Depending on your regional regulatory agency's preference, or a preference dictated by an oversight agency in your segment of the aviation industry, your gap analysis will begin with a predefined model, or template if you choose, such as the FAA or IS-BAO gap analysis model. Personally, I don't like the IS-BAO gap analysis model because it is worthless. Choose the ICAO gap analysis or the FAA's. The problem that I found with IS-BAO's gap analysis is that it is too basic, too elementary and is not truly representative of what an SMS is even close to resembling. While the IS-BAO gap analysis is lacking substance, IS-BAO's SMS implementation plan is stellar!!! So I am reluctant to be too hard on IS-BAO. Each section contains questions regarding the relevant SMS component. These questions are considered to be required elements of your operational SMS. Gap analysis can gain more depth by also including “custom” safety goals for the desired state of existence that expand on the compliance goals given by your aviation regulatory authority. All models are not created equal. For example, the IS-BAO model is fairly cursory, and will be better used as a sort of “speed gap analysis” rather than an in depth inspection of your SMS program. A gap analysis can be considered as an "internal audit." As you know, audits are made up of checklists and when discrepancies are discovered, these shortcomings are referred to as either findings or concerns. A gap analysis model may cover more territory than one person can reasonably handle at your organization. Don't expect to finish your gap analysis in one setting. There is a lot of ground to cover. Depending on the complexity of your operations, you may expect to spend a week fully answering and documenting your responses. While performing a gap analysis, a safety manager can assign sections or “chunks” of the gap analysis to subject matter experts within the organization. Using the team approach is a "best practice" and should return better documentation. When only one person has to answer all the questions, the person may take short cuts or become burned out. 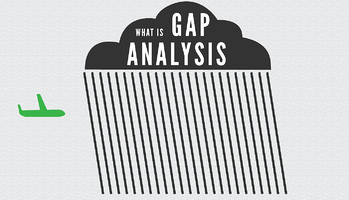 Some of these gap analysis models are very comprehensive and will wear down your patience. As your safety team reviews the gap analysis checklist questions, they will assign a numerical value to each question depending on whether the element in question has been implemented within the aviation SMS. No Action has been taken on this required element. Identified actions have been taken to meet the requirement but the actions are not complete. Identifiable actions are satisfactory to meet this requirement and are observable in policies, procedures, organizational actions, and employee actions. This required element of an SMS has been integrated with other SMS elements and requirements within the organization. This required element has been integrated with other SMS Elements. Additionally, this element has been subjected to at least one prior round of evaluation/audit and there is evidence that the required actions have been sustained over time. Further, there are no identifiable reasons why sustainment should not continue. Conformance with this requirement of the standard is considered state of the art; they could be used as a benchmark for other organizations to use. Successfully preparing for external audits. A micro scale assessment of individual parts of the program. This is true because after a gap analysis is performed, a company can see how an SMS is functioning on each categorical level, as well as individual items. Individual items that receive low scores will need to be addressed, and categories with low scores may need to be inspected or investigated further. The gap analysis assists safety teams in their SMS implementations. Discover inadequacies (i.e., “gaps”) in your safety program. In smaller companies, the safety manager will probably perform the gap analysis without the assistance of other subject matter experts. However, in larger and more complex organizations, the SMS manager will most likely delegate parts of gap analysis to subject matter experts. Most gap analyses are performed using an MS Excel spreadsheet because operators do not have access to an SMS database program that contains their preferred gap analysis model. This may cause troubles later in your SMS implementation or when the safety manager leaves the company. If you do not yet have an SMS database software solution to manage your SMS, we recommend that you choose a solution that has gap analysis models integrated within the solution. This will save you time in assigning shortcomings to other members of the SMS implementation team and tracking these items to completion. The major shortcoming of spreadsheets is that they are often only available on one user's desktop. There is no way to easily track the progress of the entire gap analysis when data is unable to be accessed by the entire SMS implementation team or managers. Aviation service providers that already use auditing software may be able to add the gap analysis checklists to their auditing program. 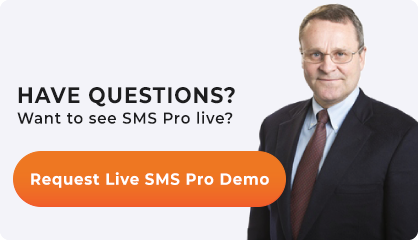 This is a work-around and the second best alternative to SMS database software designed specifically for managing the entire gap analysis life-cycle. One point to remember is that the SMS database software is not a mere "point solution" that can only handle the performance of gap analysis. The best low cost, commercially available SMS databases have tools to address all SMS requirements. The gap analysis is a very powerful tool. You should not discount the value of the gap analysis. Besides giving you a blue-print as to what is required in a modern aviation SMS, the gap analysis can serve as an educational tool to instruct safety teams as to what elements belong to an aviation SMS. I can easily remember when I started working in aviation safety over a dozen years ago. For me, the gap analysis models were my best teachers. These models cut out the wordy tech speak we often see in SMS documentation. By reading the gap analysis checklists, you are getting a condensed version of SMS regulatory requirements. If you are stuck conducting your gap analysis with a spreadsheet, I encourage you to convince management of the value of acquiring an SMS database solution to amplify the efforts of your safety team. Published January 2017. Last updated January 2019.